Dr. Cary Savage is the Director of the Center for Health Behavior Neuroscience as well as the John H. Wineinger Professor of Psychiatry and Behavioral Sciences at the University of Kansas Medical Center. He received his PhD in clinical psychology from Oklahoma State University. He completed an internship in clinical psychology and postdoctoral fellowships in neuropsychology and functional neuroimaging at the Massachusetts General Hospital (MGH)/Harvard Medical School. He remained on the faculty of MGH and served as an Assistant Professor in the Department of Psychiatry at Harvard Medical School and as the Director of Cognitive Neuroscience in the Department of Psychiatry at MGH. Dr. Savage moved to Kansas City in 2003 to serve as Director of Functional MRI in the Hoglund Brain Imaging Center and as a Professor of Psychiatry and Behavioral Sciences at KUMC. He was recently named Director of the Center for Health Behavior Neuroscience at KUMC and the John H. Wineinger Professor of Psychiatry and Behavioral Sciences. Cary is here with us today to tell us about his journey through life and science. Dr. Savage has published over 100 research papers and review articles, and he is on the editorial boards of the Journal of Geriatric Psychiatry and Neurology, Biology of Mood and Anxiety Disorders, and is an Associate Editor for Frontiers in Nutrition and Brain Health. Dr. Savage’s research has been continuously funded since 1995, when he received a Scientist Development Award from the National Institutes of Health (NIH). 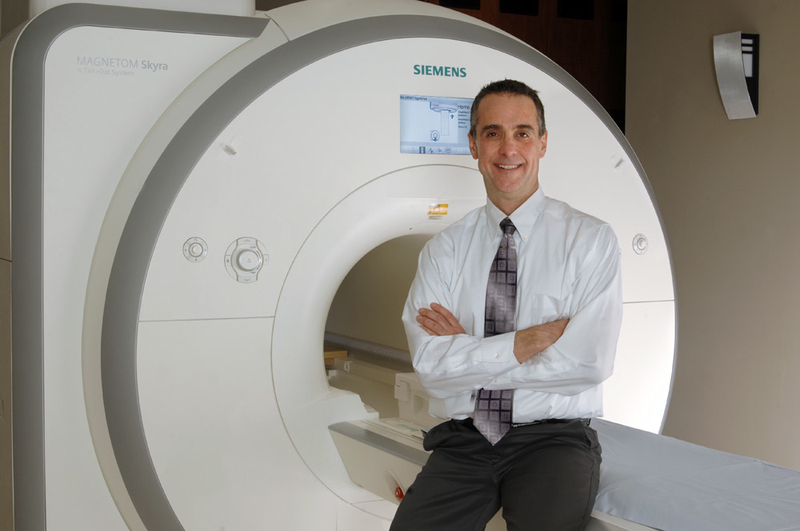 Dr. Savage’s research uses functional neuroimaging techniques to identify how the brain contributes to strategic behaviors and decision making. Areas of specific focus include brain mechanisms of healthy and unhealthy eating, exercise adherence, and other health behaviors. His current work focuses on brain function predictors of successful weight loss and exercise adherence. In these NIH funded studies, participants are scanned with functional MRI (fMRI) before beginning diet and exercise programs. Dr. Savage is especially interested in how activation in prefrontal cortex to food cues and monetary rewards and punishments may predict healthy eating and exercise adherence.